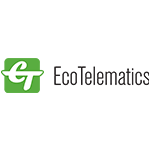 EcoTelematics is a Finnish company specialized in the development, manufacture and integration of solutions for public transport and commercial carriers. International activity is coordinated via company headquarters in Finland and offices in Baltics, the Ukraine and Africa. EcoTelematics develop fleet management, passenger information and passenger flow systems at the same time being engaged in video surveillance systems manufacturing and installation. The chart below shows the changes within the last 30 days in the number units of EcoTelematics devices type are connected to Wialon Data Center.